Will PUBG banned in India ? Full detail. 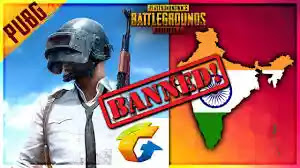 Will PUBG banned in India ,Full detail:PlayersUnknown Battleground (PUBG) Is one of the most played and most addicted game of 2018 for Xbox,Pc and MOBILE phones.Pubg Mobile won 3 awards on google play awards 2018. Everything was ok but few days ago a rumor goes viral on internet in which they were asking that “ PUBG will be banned in India “.Most of the people are asking that this game has started to train people about guns and by this thing terrorism will be spreaded.But this is totally FAKE . Pubg Update:New vedio explained everything. After listening this news Indian players started searching on internet everywhere that Will PUBG banned in India ? Now i will tell you the exact situation about this rumour ; is this true or fake ? First of all let me clear you one thing that this is Only a game not in real life. In India some of the colleges banned the game in their hostel.They putted proxy on their wifi servers which will not permit players to play PUBG on their wifi ONLY.Recently some of the websites were banned by Indian Govt. But players can play this game In their collage hostel if they will play Pubg on their own sim card internet. Most of the people are saying that other colleges will also apply this thing So,This thing is clear that Pubg will not be banned in India.It is totally fake that Pubg will be Banned in india. So Guys did i clear all of your doubts regarded “Will PUBG banned in India”.If yes then don't forget to subscribe to our newsletter below.Also click on the the Push Notification which will allow you to remain updated. PUBG Snow Map: PUBG New Informational Video Tutorial Explains Everything . Playersunknown battleground [ Pubg ] officail youtube channel has recently uploaded a couple of vedios releated about thePlayersunknown battleground new snow map Vikandi. Recently thay uploaded a vedio on their channel in which they explained everything about the making of new snow map Vikandi .They showed everything that how this beautiful Playersunknown battleground map was possible to create .They also said that this snow map is One of the best map in PUBG. Pubg Mobile update 0.10 full detail. Few hours ago they uploaded a new vedio on their official youtube channel which explained the new snow map Vikandi: Survivor Pass: The new vedio explained each and every aspect regarded the Vikandi Survivor Pass. They also explained the new coupon system which can be used to obtain/get new free skins and items from the coupon shop.As i said that they explained everything regarded the new map.So, Take a look at the official video to know everything about the new snow map Vikendi: Survivor Pass. At the same time they uploaded another vedio on their official Youtube channel which explained everything about new parachuting system.Anyone from you who was having problem with this parachuting system can watch this vedio . The duration of the pass is 10 weeks.Players have the opportunity to complete missions and receive rewards throughout the duration of the pass. Survivor Pass: Vikendi – Provides missions and rewards to unlock for all players, as they level-up the pass. Premium Pass – Provides special missions and exclusive rewards to players who’ve purchased the premium pass, as they level-up the pass. The Premium Pass will be available on the test server for testing and will be purchasable on the live servers Dec 19, 2018, for $9.99 (price may vary slightly depending on your region). Some missions cannot be completed while on the test server, due to limited game mode selection. You can view your current mission lists in the ‘Missions’ tab and can also check the mission lists in-game by clicking ‘P’ prior to jumping out of the plane. Get scar-l skin for free in Pubg. 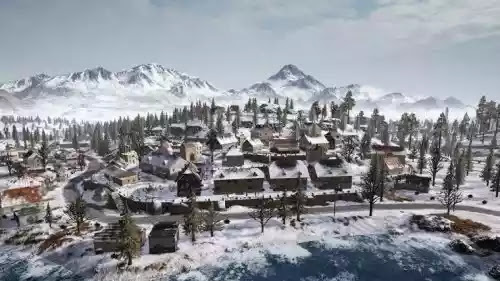 Pubg snow map vikandi community response. Pubg mobile wins 3 honours at google play awards 2018. 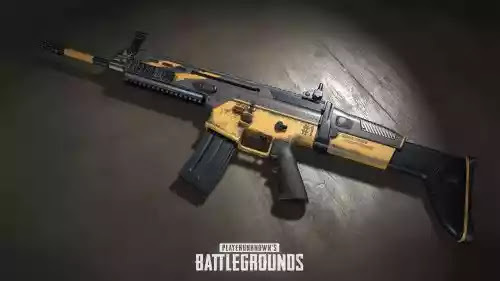 Playersunknown battleground Xbox celebrates its first anniversary of PUBG by offering Playersunknown battlegground xbox Community a free Scar-l skin for free.This was revealed officially by Playersunknown battleground xbox community manager on official reddit page. This giveaway skin is called "The Year One - SCAR-L skin" and it can be claimed by pubg xbox players by simple login in the game.Login period to claim the giveaway reward of One - SCAR-L skin starts from December 17, 2018, 00:00 AM PST /9:00 AM CET and will last till January 31, 2019, 23:59 PM PST /8:59 AM CET which is more than a month and a half. As it was mentioned that players with busy schedule can also grab this giveaway reward as the time period for this is one and half month.And also the procedure of it is very simple 'Just login in your Xbox device and get the Gun skin'. PlayerUnknown's Battleground PS4 players additionally got a free Pixel Art Parachute skin on the launch .Few days ago a new snow map "Vikandi " (Dihor otok) was made available for Pubg pc and also it was available for Pubg Mobile for testing. Also read:Pubg update Vikandi map full detail. Hey everyone, Happy 1st Anniversary! We’ve had ups and downs during our journey together this past year, but we couldn’t have made it this far without our Xbox community! The entire PUBG team would like to thank you all for your trust and support. All players who log into PUBG during the event period outlined below will receive a special anniversary gift, the Year One - SCAR-L skin! We hope you enjoy the skin!